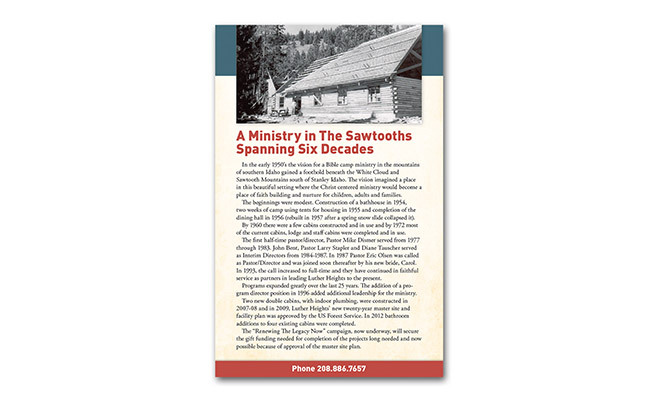 Luther Heights is a bible camp in central Idaho. The camp has been around since the early 1950’s and has been exploring the Bible with campers from all walks of life. 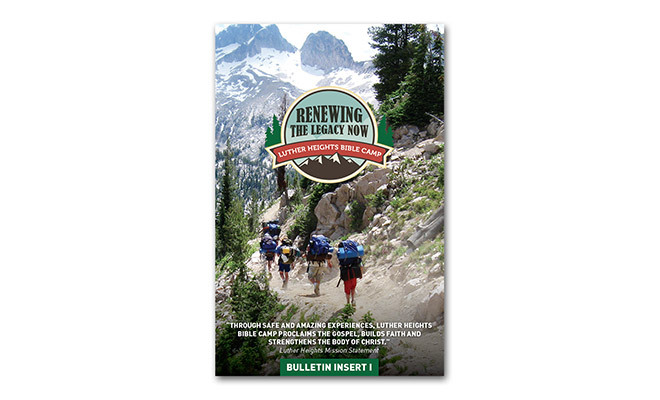 In an effort to update their facilities at the camp, Luther Heights set out on a campaign, “Renewing the Legacy Now,” to raise money. 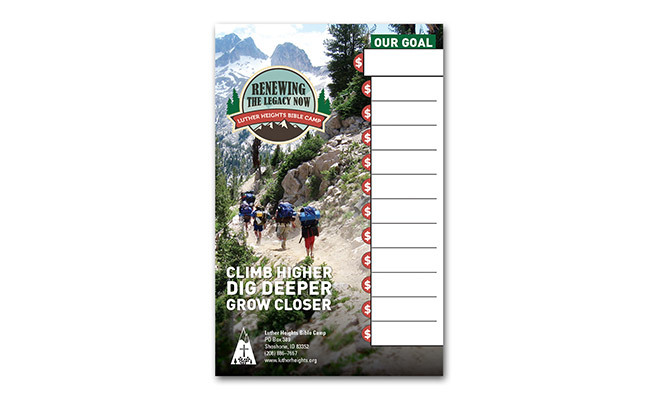 The campaign included a logo, along with many print pieces that would reach hundreds of congregation members looking to help Luther Heights reach their goals. Pieces here include their goal poster and bulletin inserts that would be placed in bulletins in several church congregations. The campaign was one that reflected the youthfulness and energy of the campers.